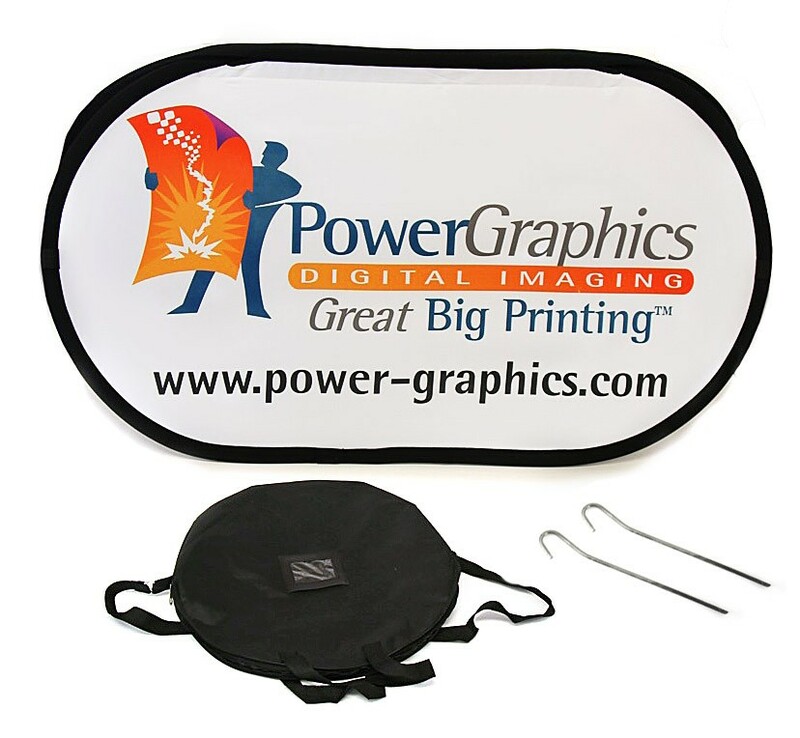 Pop Up A-Frame banners are lightweight double sided portable fabric signs that fold down into a compact travel bag and pop open into a full size display. 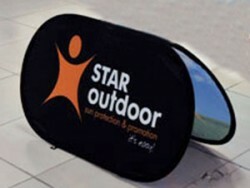 The Pop Up A-Frame Horizontal Medium comes with a travel bag and ground stakes with a 59" wide x 27.5" tall image area. 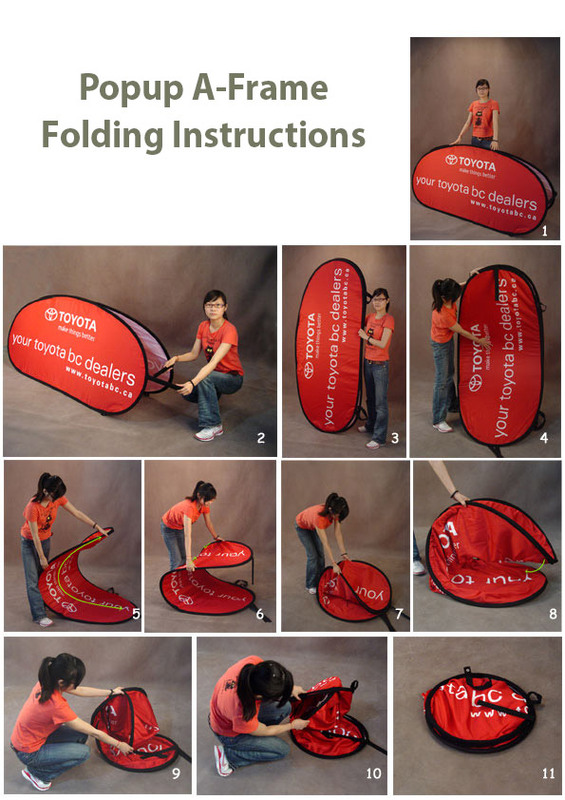 Pop Up A-Frame banners are lightweight double sided portable fabric signs that fold down into a compact travel bag and pop open into a full size display. 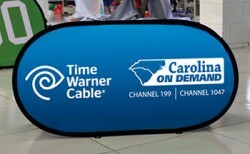 Because they are so easy to set up and move, they are extremely popular displays for advertising and branding at sporting events. 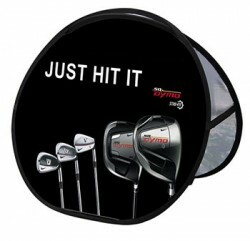 Widely used on golf course driving ranges and tee boxes, soccer fields, beach volleyball and surfing competitions, skiing and snowboarding competitions, field hockey, gymnastics meets, and more. 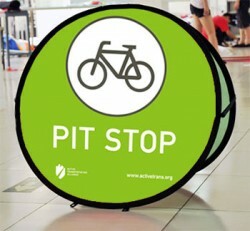 Because Pop Up A-Frames look solid, they make an excellent marketing tool that can be placed close to the action where it will be most visible. 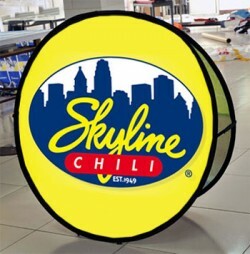 With their flexible frames, they pose no danger to competitors or spectators who may come in contact with them, and in fact you could land directly on one and it would simply collapse and spring back to shape. 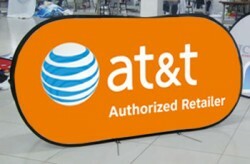 Pop Up A-Frame banners are also frequently used as directional signage at these events, as well at outdoor festivals, concerts, fairs, and trade shows. Since they are so frequently used outdoors, they each come with ground stakes that can be used to secure them in place when used on soft surfaces such as grass, snow, or soil. 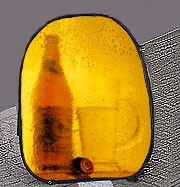 When used on hard surfaces, sand bags or other types of weight can be used to keep them in place. 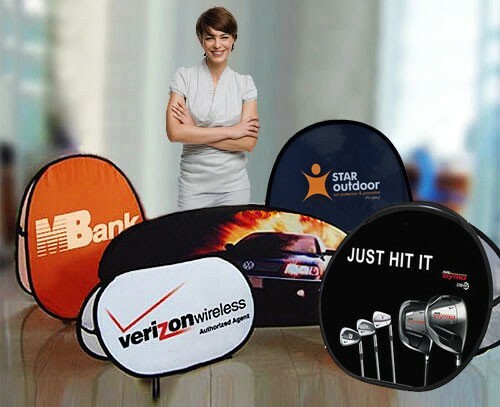 In addition to outdoor uses, they are also popular for use indoors at trade shows and events where they can be placed to direct foot traffic or display marketing messages close to the target audience. 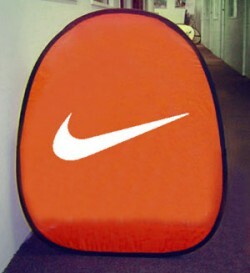 These fabric displays come in 10 shapes and sizes, with three circle designs, three vertical shapes, and four horizontal. They are printed using the dye sublimation process, so the colors are vibrant and become part of the fabric itself so that the image cannot be scratched or washed off. In fact, if the Pop Up A-Frame gets dirty, you can simply hose it off with water and let it dry before folding it back up for storage. Pop Up A-Frames are custom printed with your design and can have the same design on each side, or each side can have a different image. 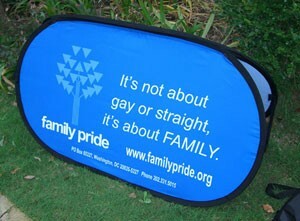 The Pop Up A-Frame Horizontal Medium comes with a travel bag and ground stakes with a 59" wide x 27.5" tall image area. 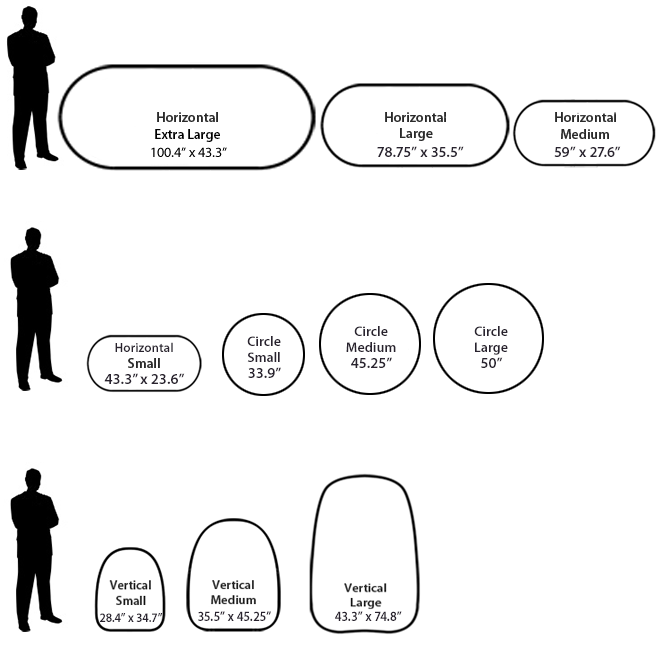 Shipping size: 15" x 15" x 3"
These templates provide a framework for designing your banner and show the live area as well as the leader portion of the banner that attaches to the banner stand and isn't visible when the stand is in use. 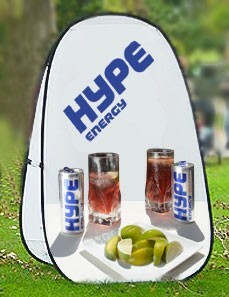 If you would like a banner design, we offer those for a reasonable fee in the Banner Designs category.